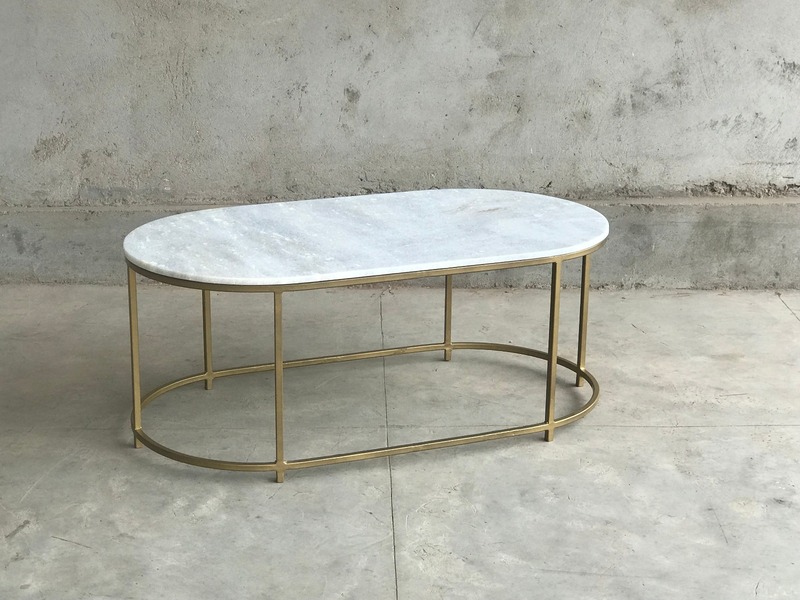 The Beth Brass and Marble Large Coffee Table is a contemporary fusion of materials from the Pebblestone Furniture Collection. 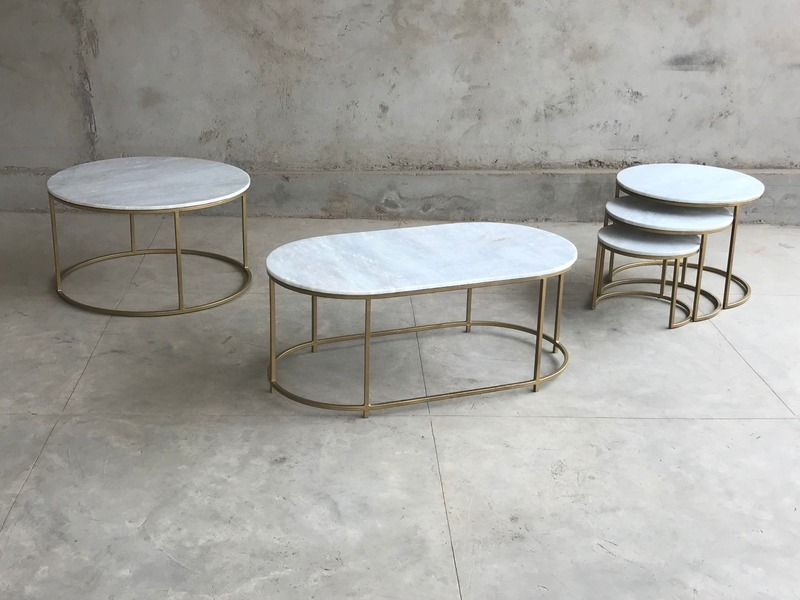 This collection is design-led, on-trend collection which incorporates materials such as marble, stone, iron and timber. Each piece is handmade following the same tradition you'd expect from Little Tree. 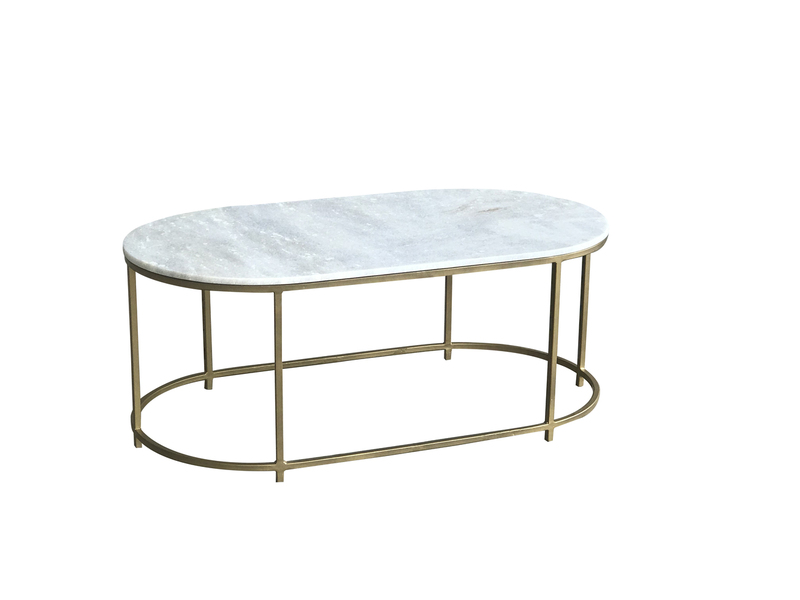 The Beth range beautifully integrates marble table tops with striking gold detailing, the collection will effortlessly adds modernism and sophistication to any home.